A quick and easy method of getting direct and sufficient amount of essential vitamins and minerals. Many vitamin, mineral, and amino supplements are not well absorbed by the body when taken orally. Certain vitamins are best utilized by the body when they bypass the digestive tract because for some people, barriers exist in the gastrointestinal tract to allow for adequate absorption. The full and effective dose of certain vitamins is rarely achieved when it is taken orally in tablet or capsule form. One of the best ways to recieve full and effective dose is by injecting the vitamins intramuscular (IM). Administering an injection allows for musch higher doses of these nutrients to be infused directly into the body. All of the nutrients that we use are natural and safe to be administered by injection. Vitamin B-12 is a water soluble vitamin which helps maintain healthy nerve cells and red blood cells. During digestion, hydrochloric acid in our stomach releases B-12 from proteins in foods. This vitamin then combins with a substance called gastric intrinsic factor (IF). This complex can then be absorbed by the intestinal tract. Vitamin B-12 metabolizes carbohydrates, fats and proteins. It also assists in the proper functioning of the nervous and cardiovascular systems. B-12 deficiency is one of the most commonly deficient vitamins in both men and women. B-12 is very difficult to absorb when taken orally because the absorption rate through the digestive system decreases with age due to low intrinsic factor (IF). As the body ages, only a small amount of B-12 is absorbed through the stomach in a pill form. B-12 obsorption is significantly increased through injection. Lipo-Mino Injection starts with a special lipotropics fat burning combination of methionine, inositol, choline, carnitine and B-12. Each of these ingredients help the body turn fat into energy and are also powerful antioxidants. In addition, Lipotropics blend, Lipo-Mino also contains a mixture of B Vitamins which further help to facilitate fat loss and increase energy. The formula is then completed by adding ingredients to reduce appetite, build miscle and promote a healthy immune system. Methionine: Helps breakdown sugars and carbs and converts it to energy. Inositol: A B vitamine and plays a role in nerve transmission and fat metabolism. Inositol works are the cellular level and is thought to prevent the formation of cancer and may even shrink pre-existing cancers. It also helps lower cholesterol levels. Choline: A vitamin-like nutrient that helps export accumulating fats in the liver and helps prevent liver damage. It is needed for the synthesis of acetylcholine, a key neurotransmitter, which helps maintain cell membranes, transmit nerve impulses, process fat and cholesterol, and perform other tasks. Carnitine: Carnitine is an amino acid taht is found in nearly all cells of the body. It plays a critical role in the production of energy from long-chain fatty acids. Riboflavin (B2): Riboflavin is known for increasing energy levels, boosting immune system function, maintaining healthy hair, skin, mucous membranes, and nails, slowing aging, boosting athletic performance, and promoting healthy reproductive function. Thiamine (B1): Thiamine is involved in many body functions, including nervous system and muscle function, the flow of electrolytes in and out of nerve and muscle cells, digestion, and carbohydrate metabolism. Pyridoxine (B6): A water-soluble vitamin. Vitamin B6 is critical for protein metabolism, energy production, and normal nervous system function. It is involved in nearly 60 enzyme systems in the body, necessary for normal growth, red blood cell synthesis, and vitamin B-12 absorption. 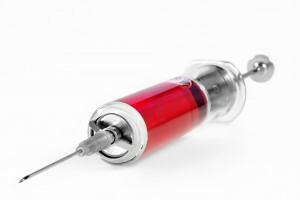 Lipo-Mic Injection is a combination of vitamins, minerals and amino acids that are necessary nutrients for our bodies. When taken in this combination AND in conjunction with exercise and calorie reduction, many people report an increase in their metabolism, a loss of inches and/or pounds, more energy and other benefits! This once-weekly injection is intended to help anyone who desires to lose weight, but has been reported to be most effective in individuals desiring to lose 30-50 pounds or for anyone who has reached a “platea” or “hit the wall” in their weight loss efforts. These are natural ingredients. The injection may be taken weekly for the duration of your weight loss efforts. Persons taking this weekly injection should drink plenty of water to prevent constipation and help flush the toxins from their body. What is the Relax Injection? Relax Injection is formulated to help with anxiety, muscle tension and migraine headaches. The Relax Injection promotes relaxation, mental awareness, detoxification and may also promote vasodilation resulting in lower blood pressure. Magnesium: Promotes vasodilation which can help lower blood pressure and treat migraine headaches. GABA: An amino acid that is beneficial in calming nervous activity. Taurine: Has been linked to improved mental function, reduced anxiety and promoting a detoxifying effect in the body. There are also studies that suggest that Taurine is effective in treating diabetes by increasing glucose metabolism. Theanine: A natural remedy for reducing phyical and mental stress and anxiety. Studies have shown Theanine makes one feel relaxed without causing sleepiness.